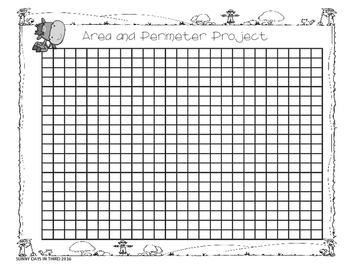 AREA AND PERIMETER ACTIVITIES / WORKSHEETS & TASK CARDS BUNDLE! 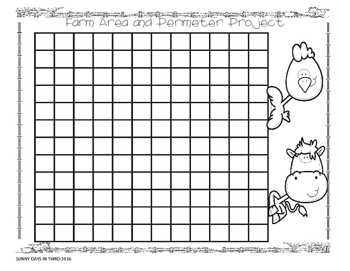 AREA / PERIMETER FARM and ZOO FUN PROJECTS ~ BUNDLE! I created these quick projects for my students to practice finding area and perimeter in a hands - on, fun way. We also used the graph paper to practice coloring and DECOMPOSING rectangles to find AREA. 2. They decide the size and shape of the enclosure ( area ) that they will be creating for every animal. Three different grids to choose from provided. 3. They color the enclosures. 4. They paste the animals on the enclosures that they created. 5. The find the area and the perimeter of every enclosure. 6. 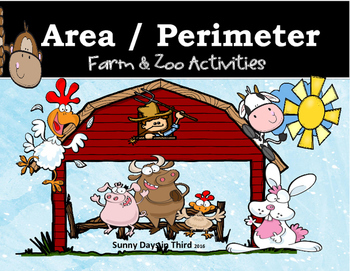 They paste the label " Area__ Perimeter ____ " under each enclosure ( optional ). 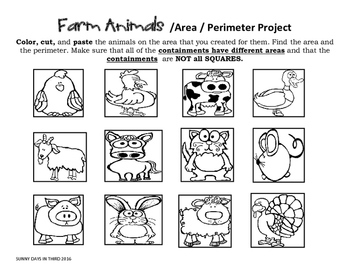 The students use the cut outs provided and the grid paper to create a FARM or a ZOO. Your kiddos will have fun as they learn. Promise! MORE RESOURCES IN THIS CATEGORY: NEW! ON SALE NOW! NEW! AREA AND PERIMETER FUN PIRATE THEME!